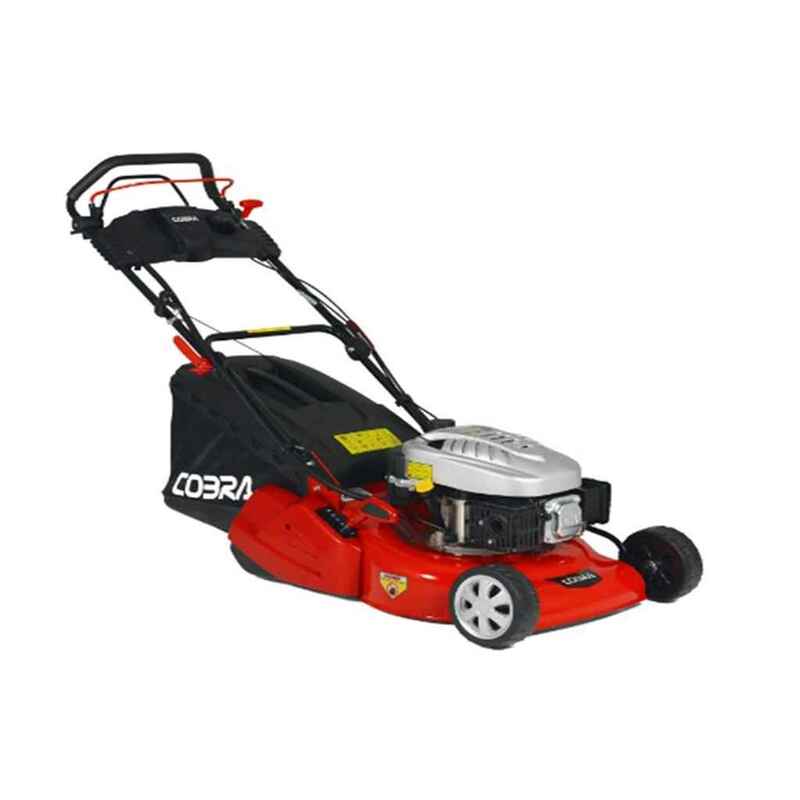 The Cobra RM46SPCE Electric Start Rear Roller Self Propelled Lawnmower combines the top quality design, excellent value and exceptional performance that Cobra is known for. With its 46cm / 18" cut it is ideally suited to medium sized lawns. This cobra also has an electric start feature. It has a standard recoil pull-start and an electric key start to make starting your lawnmower even easier. Electric start eliminates the necessity of pulling the recoil rope, replacing it with an electric ignition key starter. This can help reduce wear and tear on the engine. A charger is supplied to keep the battery ready for use. Powered by a Cobra DG450 4 Stroke engine, it has a single lever height adjuster, with 10 different settings from 15mm to 75mm. This model cuts & collects and emptying is reduced to the minimum with it's large 60ltr grass box. The rear roller provides a perfect stripe finish to your lawn and it's robust steel cutting deck allows for years of happy mowing. It has quick release folding handles for easy storage. It also comes with a 2 year manufacturers domestic warranty.